I’d be willing to make a bet that you could recognise the manufacturer of almost any car on the road. If I was to mention some car brands now, such as Mercedes, Hyundai or Mitsubishi you would not only be able to imagine what their logo looks like but also be able to picture one of their cars on the road. Why is this the case? It is because the automotive industry has been a leader when it comes to branding their products. 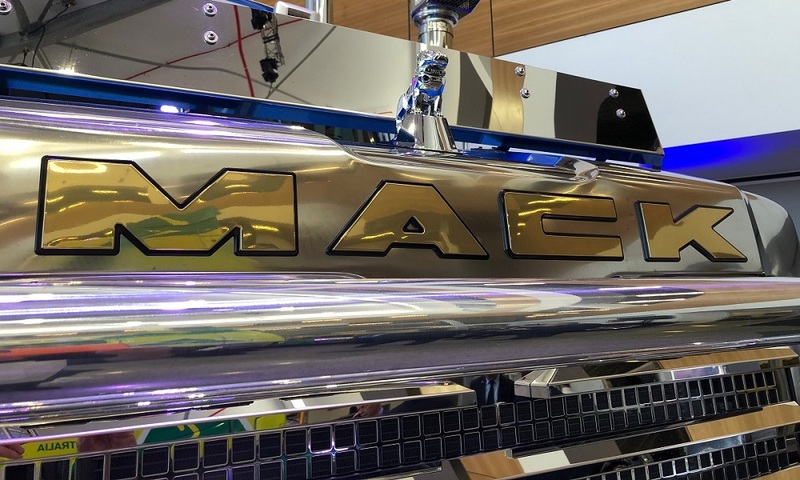 In general, the truck body and trailer industry understand the importance of branding their products, however there may be automotive approved options they haven’t considered before. The automotive industry has also found that high quality labels, nameplates and badges flaunt a range of benefits other than just effective branding, that the truck body and trailer industry could find too. What are these benefits and how can the truck body and trailer industry take advantage? Just as cars are constructed to last for many years, so are truck bodies and trailers. High-quality labelling should also last the lifetime of a product, and in cases of providing warning and instruction information, this is imperative. Great branding on a truck body or trailer can lead to increased sales both now and in the future. As mentioned earlier, a car is almost instantly recognisable on the road. This means that if a potential buyer sees a car they really like, they will instantly know where to find more information and even buy one themselves just by looking at the badge on the back. A high-quality label or badge used for product branding has the potential to do the same on a truck body or trailer. It is important that the badge or label lasts for many years, just like the truck bodies and trailers they are for. If someone was about to buy a new truck body or trailer, and they spot an old one on the road that is still running well, this could be a deciding factor as to which brand they buy. If your labels and badges have fallen off or faded, how will they know what brand it is? Many truck body and trailer manufacturers think that painting a logo or message on is good enough. However, there are multiple reasons why car manufacturers do not paint on their logos. The first being the fact that paint will fade. Trucks and trailers are built to last many years and paint will not last. 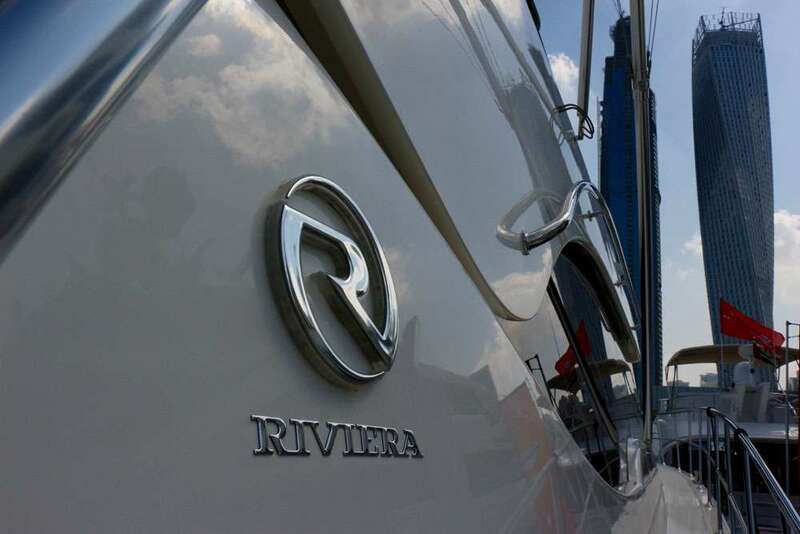 A high-quality nameplate, badge or label will not fade and will last as long as the truck body or trailer itself. Another reason is that nameplates, labels and badges can be more eye catching. A 3D domed badge can make your logo stand out on the road. All car manufacturers use this type of badge as it is simply more effective. There is a considerable effort across almost every manufacturing company to reduce costs, so it is easy to understand why safety labels may be bought as cheap as possible. However, using cheap labels for important safety information can actually lead to costing you more money in the future. The whole point of the safety information labels is to help your customers avoid injuries and accidents. If cheap labels are used, it is likely that they will fall off or fade within a couple of years. This leads to a long period of time where important information is not being conveyed to the users, which could potentially render you being held liable. Labels can also be designed to be written on, which may come in handy for “service by” information. Then of course there are consumer laws that you need to comply with. LNI has worked with these laws for a long period of time and can guide you on what you need. Lower cost labels may improve your bottom line marginally (very little) but if you stop complying with laws because they fall off or fade, that may cost you in the long term. Providing great customer service is something that every company would like to do. Labels and nameplates can help you to improve your relationship with your customers too. You would have seen a “Diesel Fuel Only” sign (or similar) on a car before. If you were not to have this, customers may use the wrong fuel and become incredibly frustrated as there was no indication. Using cheap labelling solutions may provide this information for a year or two though a high-quality label will also last the length of the product. The common theme in all these points is the fact that nameplates, labels and badges should last as long as the product itself. Products which are custom engineered to suit their end use should be used in the truck body and trailer industry, similarly to how they are in the automotive industry. 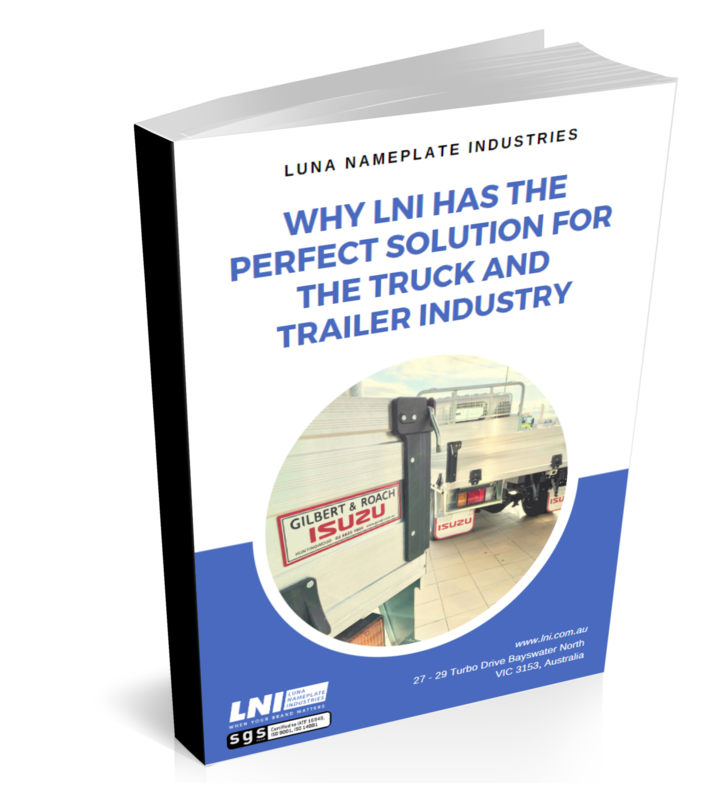 LNI has decades of experience providing these high-quality nameplates, labels and badges to the automotive industry, so have a wealth of knowledge and experience that can also benefit the truck and trailer industry. Contact us today.